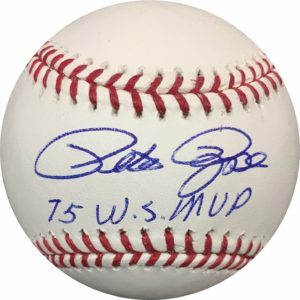 Authenticated with a tamper proof Pete Rose Sticker and Matching Card. 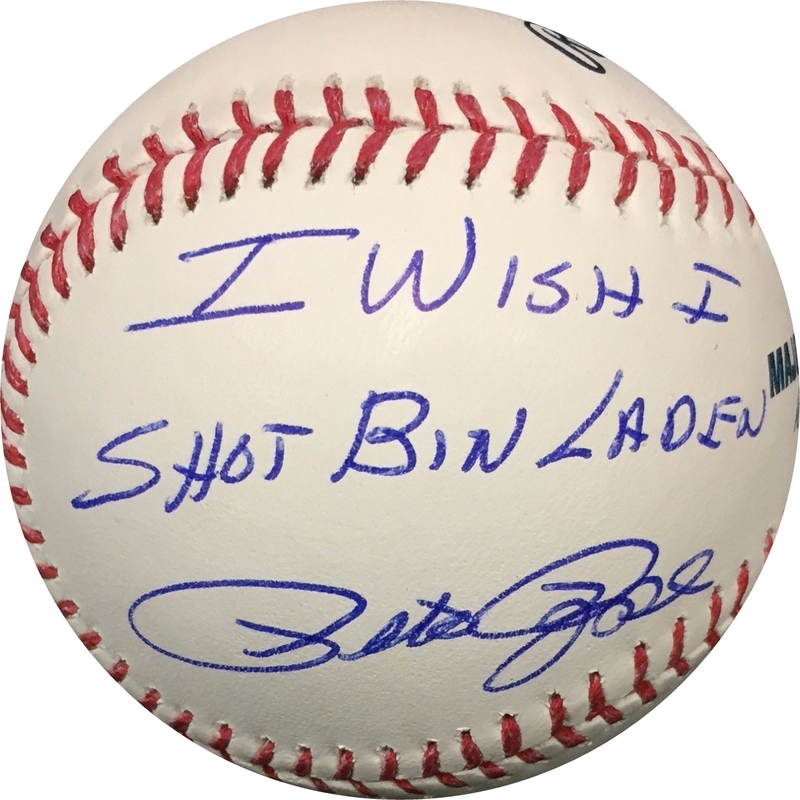 This is a hand autographed Baseball signed by Pete Rose. This is an Official Major League Baseball. 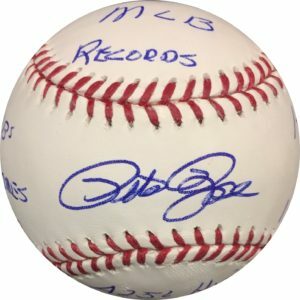 The item has a Pete Rose Authentication, which comes with a tamper proof hologram sticker attached to the item and a matching certificate of authenticity card. 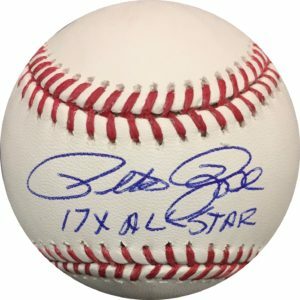 The authentication card is also personally signed by Pete Rose for no additional charge! 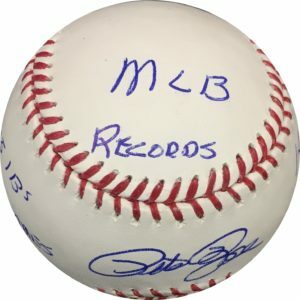 All of our autographs are directly from Mr. Rose. You know they are 100% Authentic and you can rest assured, knowing you’re purchasing the real deal. This is a stock photo of the item. Although you may not receive this exact item, the item you receive is virtually identical, brand new and in great condition.